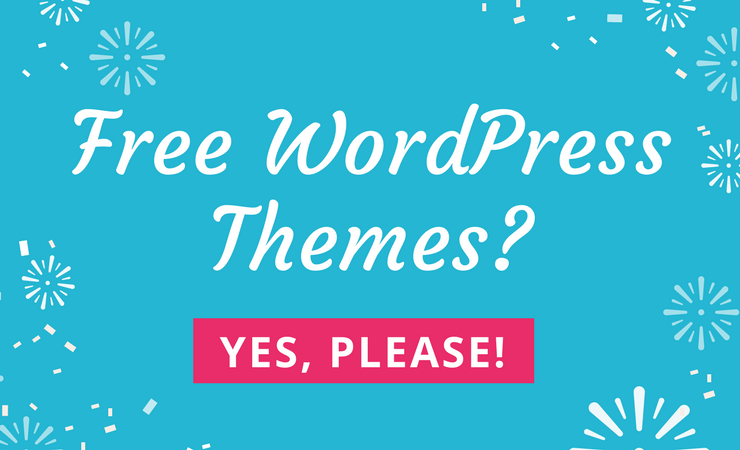 Herd up the cattle and round up the eggs from the chicken coop because today we’re talking about farming WordPress themes. The world is fueled by farmers who work tirelessly to feed people in local neighborhoods and all around the globe. It’s not that often a regular consumer looks for a farming website. After all, they would most likely go to a site for a grocery store, or simply walk down the street to a local market. However, that doesn’t mean farmers don’t need online presences. Why Farmers Need An Online Presence? Farmers are in need of finding places to sell their plants and animals. For example, farmers need to locate distributors and retailers that are going to buy a significant amount of inventory from them. In order to do this, a farmer has to display the types of livestock and plants they make on the farm, along with possible rates, environmental procedures and more. For example, an organic farmer would do rather well by having a few pages that explain the whole organic farming process, along with certifications to prove that the crops they grow are in fact sustainable. Surprisingly, quite a few themes are available for farmers to get started with websites. Since we assume most farmers don’t have much development experience, farmer WordPress themes are the best way to go. They offer one-click installs and the majority of the work is completed by filling in information about the farm. In the list provided below, we made sure all of the farmer themes are responsive, helping out people who are going to be looking at the sites on mobile devices. In addition to that, they all pretty much provide options for displaying the types of services, livestock, and crops made on the farm. Some of the themes are not specifically built for farmers, but they are general business themes with powerful branding and marketing tools. Other than that, you should be able to find everything you need in these farming themes, and that’s exactly what most farmers are looking for. If you’re a developer who works with farmers, you’ll be happy to know that each of the themes has simple modules for adjusting CSS and HTML, so the customization options are solid. 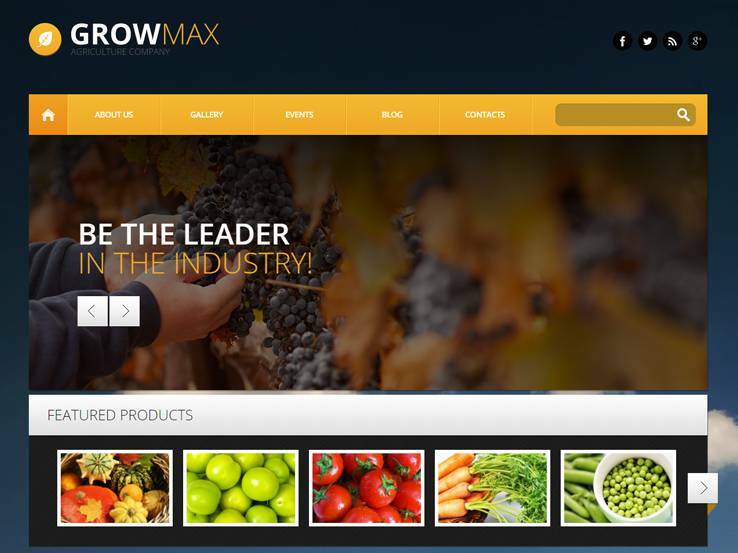 So, keep reading to learn more about the best farming WordPress themes on the market. 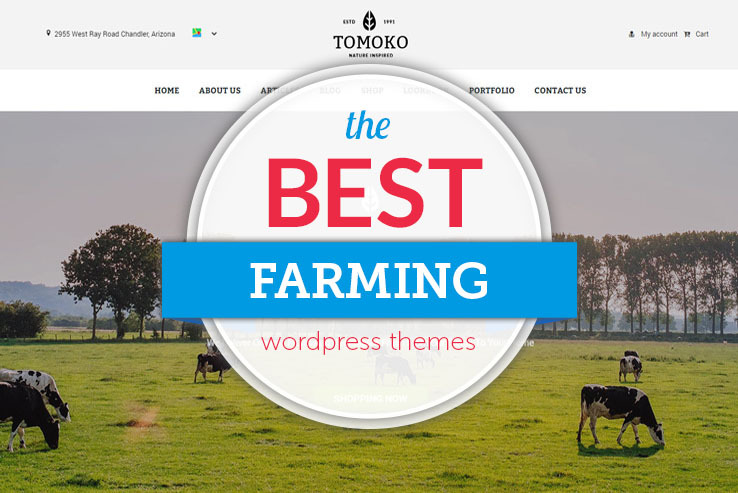 The Tomoko WordPress theme offers a beautiful layout for organic farmers and companies that work with fruits, vegetables, and other crops. 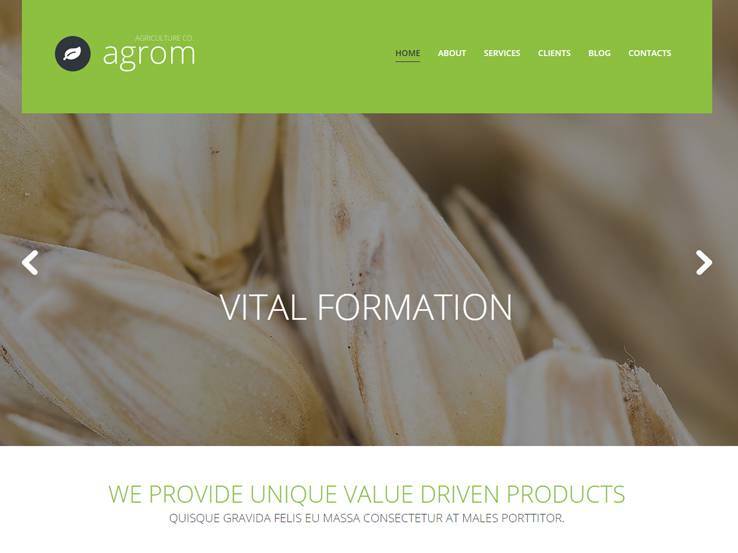 The responsive theme looks remarkable on smaller devices and it provides some nice colors that coincide with the whole food farming area. 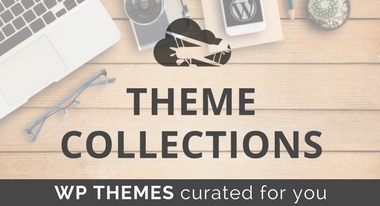 Unlike many themes out there, this one integrates and comes with some quality plugins. You can use the WooCommerce plugin, which comes in handy if you plan on selling some of your foods online. All you have to do is upload product information and connect a payment processor. After that, customers can purchase items and wait for you to ship them out. The Visual Composer plugin is also included with the theme, improving your design interface from the start. It offers beautiful website elements that you can simply drag and drop where you want them to appear. For example, you may want to insert a button or slider on your homepage. If that’s the case, all you have to do is drag the right element onto a certain location. This prevents you from touching any of the source code, speeding up the development process quite a bit. Several predefined color schemes come with the Tomoko theme, helping out with branding and showing people what types of crops you sell based on those colors. The theme also includes a color picker, making it easy to match your website to the rest of your brand. Demo content serves you rather well, considering the website doesn’t have to be configured from scratch. Stock images assist with bringing your site to fruition, particularly because the stock images correlate to the farming business. So, although we recommend getting your own pictures in there eventually, it’s not a bad place to start with these stock images. The SEO and speed optimization is top notch, while the portfolio is wonderful for showcasing your products, or even what’s going on at the farm. Use the contact form to keep in touch with your customers, and consider placing your contact information and address at the top of the site. The slider makes it easy to feature an announcement or tell people what your site is all about. You have the opportunity to change the images and the slider supports high-resolution images. In addition to that, you receive some solid overlaying text and buttons, which is wonderful for calls to action. 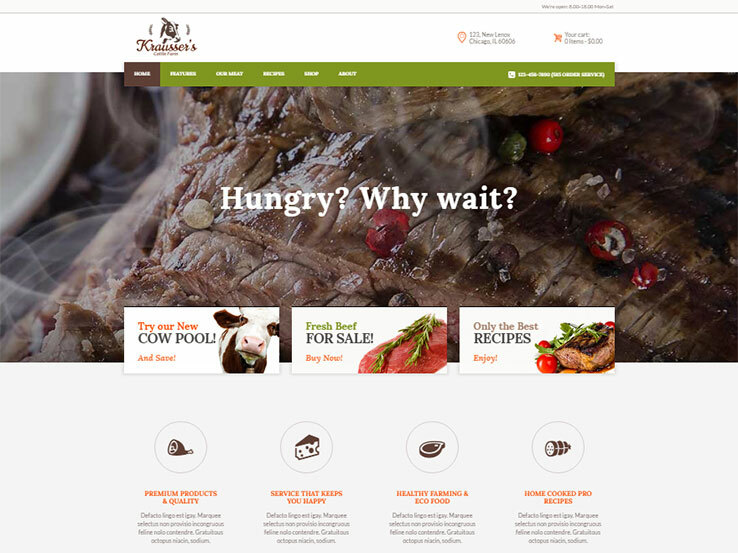 The Cattle Farm & Produce Market WP Theme delivers something that none of the other themes can: A beautiful interface for both cattle and produce. Overall, it’s targeted to a select group of farmers, but it works so wonderfully when farmers need to launch the website in a short period of time. The minimal design is fully responsive, meaning that not only will search engines enjoy the setup, but people will be able to see your content no matter which device they’re using. The theme comes with clean typography, which is essential for boosting your branding strategy and coinciding with the icons and images you have on the page. SEO is built right into the Cattle Farm & Produce Market WP Theme and the overall responsive nature of the theme is always good for SEO as well. Great social engagement tools ensure that people are sharing your content and talking about your farm on places like Facebook and Twitter. The one-click demo install launches your site within no time, while multiple homepage layouts allow you to create a unique website. After all, you’ll want to stand out from your competitors in the area. What’s interesting about the Cattle Farm & Produce Market WP Theme is that it does a wonderful job of making sure you don’t have to be a professional developer to create something professional. The Visual Composer plugin is included with the theme, meaning that you receive a beautiful drag-and-drop interface with all the items you need. In addition to that, several shortcodes have the settings you need for making items like buttons and columns, all without the need to touch any source code. Both the Revolution and Swiper slider are included with the theme, turning the top of your homepage into a beautiful slideshow. Feel free to insert high-resolution images and utilize the animations, buttons, and text options made available. The translation options ensure that you can translate your website easily and connect with people from all over the world. 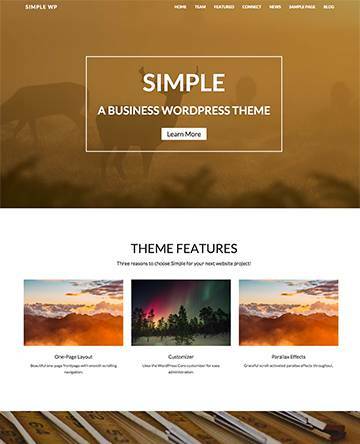 The Cattle Farm & Produce Market WP Theme combines well with the WooCommerce plugin, which is essential for selling everything from physical to digital products. So, if you package any of your products, they can be sold directly through a website to get rid of the middle man. 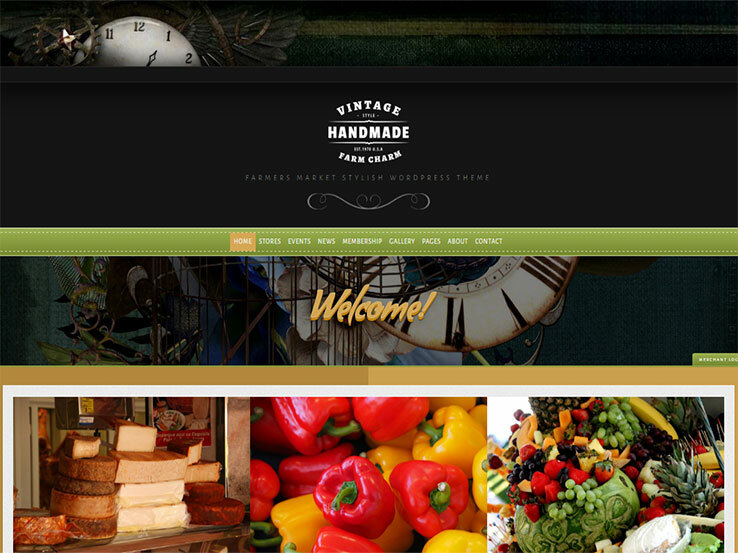 Overall, the Cattle Farm & Produce Market WP Theme is a beautiful choice, so give it a try today. 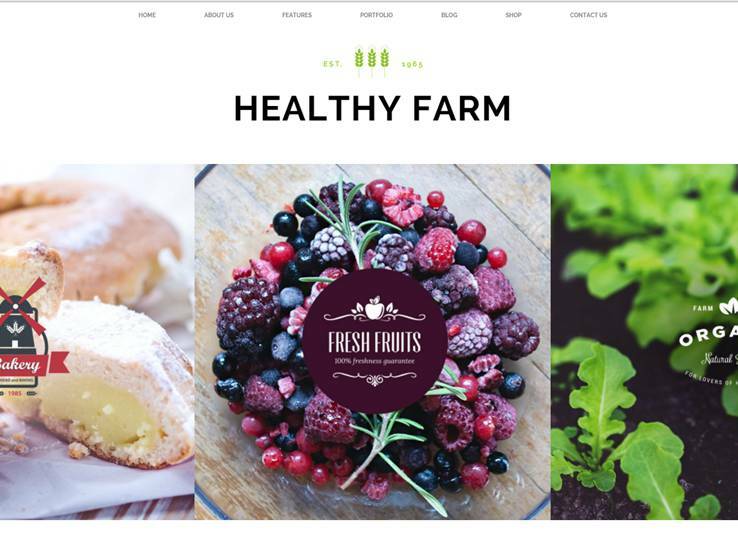 The Healthy Farm WordPress theme works for farms of all shapes and sizes, but it obviously caters to those farmers who are making healthy foods. The theme has eCommerce tools since it combines well with the WooCommerce plugin. Mobile device optimization is provided for those customers that are going to be coming to the site on smaller devices. The Visual Composer plugin gives you the tools to drag and drop items anywhere on your website. You can also play around with the Revolution Slider plugin, which we like for farms that are selling items directly through the website. Having a blog is known to improve search engine results and this blog offers two layout styles and an elegant design for each article you publish. What’s cool about this theme is that it has a ratings and review module, letting people come to your site and rate certain products or services. The authors of the articles also have the ability to make ratings and reviews. You may want to write a review on a new super food. In that case, you don’t have to worry about going out and getting some sort of plugin that displays a star rating for the review. A gallery works for a portfolio, but we like it best for farmers who want to start displaying beautiful images of their crops. The frontend editor is an interesting addition, considering you now have the ability to change the content from the front of your website. You can open this up to other writers on your team, but it’s mainly going to serve you when you’re on the go. Overall, this is a rather visual theme. The homepage has a wide range of widgets and portfolio-style layouts. You can connect with people on social media and use various icons that correlate with the farming industry. Along with decent footers and sidebars, featured events, and areas to feature your business partners, the Healthy Farm theme is one of the best of the bunch. The Farm Charm theme, designed specifically for farmers’ markets, is an excellent way to promote your entire community of growers. Individual merchants can login to edit their own pages, complete with photos, contact information and social media links. Becoming a member is easy too with a registration form and PayPal gateway for fees. Ad widgets enable sellers to further promote themselves. A custom post type for Events is perfect for keeping customers up to date on upcoming markets and demonstrations. Not all of your users will be proficient in code but that’s not a problem with Farm Charm. Most changes can be made using the intuitive Dashboard-Customizer. There is also an option to make more in depth changes for those with a firmer grasp on web design. Like many other themes, Farm Charm is translation ready but it is capable of accommodating right to left languages as well as the more common left to right. And with the ability to scale from 2,560 to 320 pixels, your site will work perfectly on everything from desktops to smartphones. 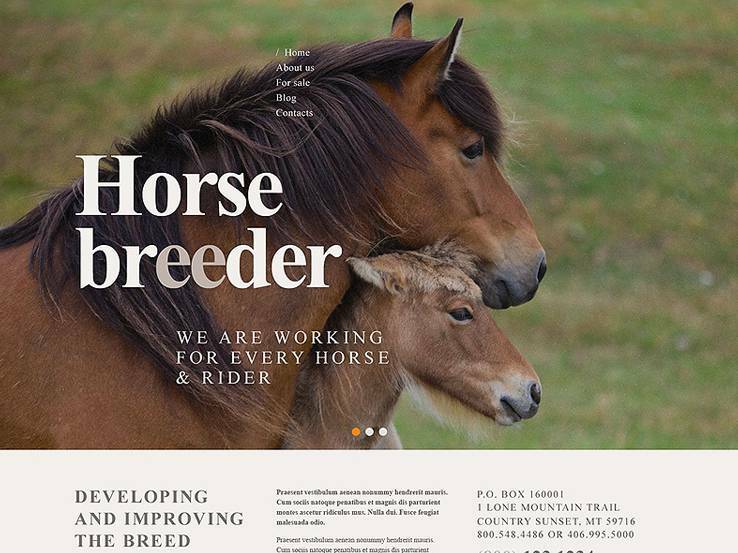 As the name suggests, the Horse Breeder theme is perfect for those who are looking to bring their breeding business into the 21st Century. 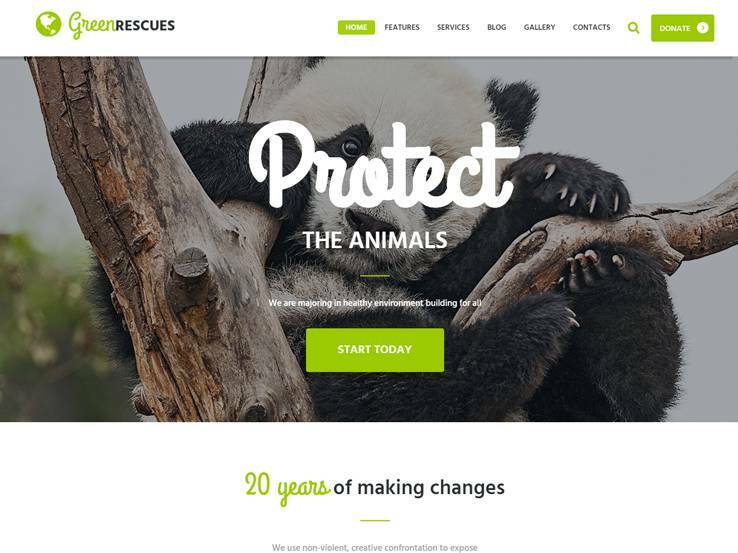 This theme comes with multiple For Sale page templates to show off your beautiful animals in all their glory while meeting the specific needs of your business. With video integration, you can show your horses in action to really wow potential customers. The portfolio is also filterable to allow buyers to search for exactly what they’re looking for. Your site will be as stylish as your animals with Parallax and a Lazy load effect plus multiple color choices and elegant sliders. The responsive design means customers will have full access to your site one the go; if they see one of your horses at a show, there’s no need to wait until they’re at a full computer to learn more. They can also get answers quickly with a built in on-line chat feature. 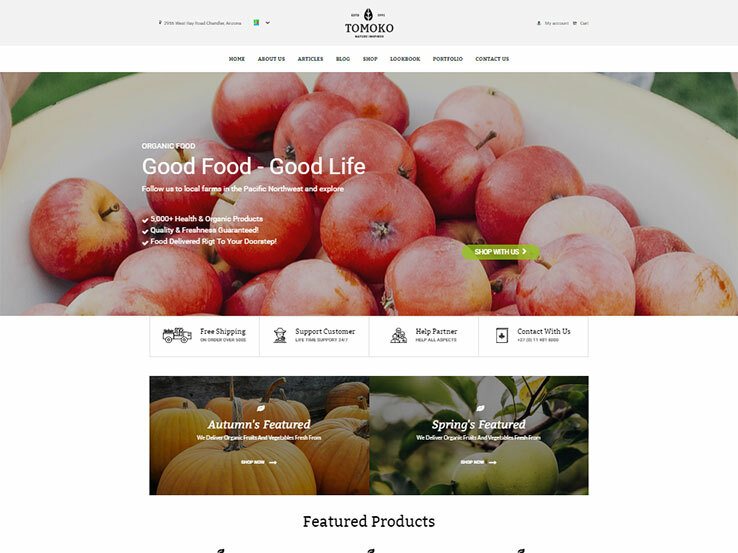 The Farm Fresh theme is packed with fantastic features for your farm or market. A Product Availability Guide will easily keep your customers up to date about what’s in season and the WooCommerce integration will make selling online products simple. With Custom Post Types for products, sellers, events, and photo galleries, your site will handsome, informational, and personalized. A Google Maps feature with Multi Markers lets you designate the location of your market and all of your growers for full access. Farm Fresh comes with several homepage options to make your site truly unique. Choose from a beautiful slider, an exciting KenBurns effect, a sharp video, and more to draw your customers in. A choice of 585 icons from Font Awesome, more than 70 shortcodes, Mega Menu support, and Visual Composer all ensure that you will have a wonderful site with minimal stress. And you will always be just an email away for customers, with forms from Contact Form 7. The Farm Industry theme is a wonderful choice for showing off your produce. 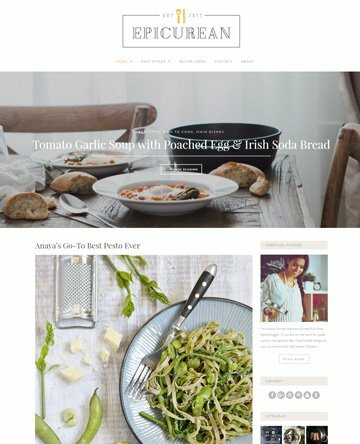 A Featured Products bar on the homepage will highlight what’s fresh and in season with bright, enticing photos. For more information on a specific product, your farm, or your market there are several great Gallery options. Take visitors on a video tour or display photos of delicious looking food with a slideshow or gallery post. Widgets are also available for providing educational materials. With a simple 2 step installation process, you will quickly be on your way to a fantastic site with Farm Industry. The Built-in Theme Customizer, multiple color options, and more than 600 available Google fonts ensure that you can design a site that is perfect for you with little trouble. SEO and multilingual ready, your site will be easy for customers to find and accessible to everyone. And with Advanced Backup and a lifetime of free updates, you can rest assured that your site will always be running smoothly. 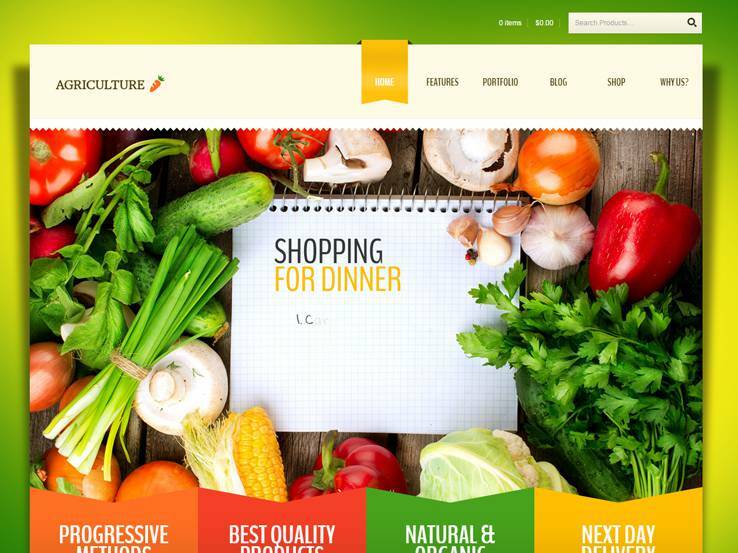 Setting up a high quality online market is simple with the Agriculture theme. 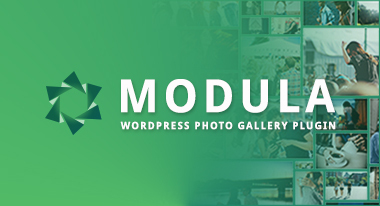 The WooCommerce plugin allows you to sort your products into useful categories and manage both payments and delivery, all with gorgeous Retina ready photographs of your tasty produce. You can also set up automatic payments, perfect for CSAs with a monthly fee. The Form Builder Tool will also be a great asset to your business with an endless number of possibilities from basic contact forms to sales forms and even questionnaires for customer feedback. 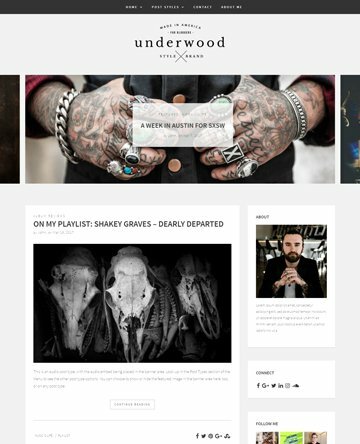 This theme comes with a unique timeline portfolio and blog to make finding specific contact easy. Each post is displayed in sleek looking chronological order with title, photo, and description. Setting all of this up is also simple with the drag and drop Content Composer and supersized menu of shortcodes. 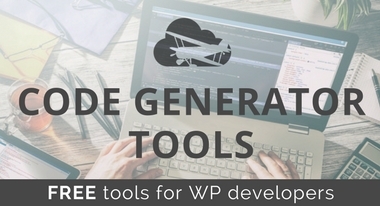 A huge selection of widgets will add to your site’s functionality and overall style as well. Is simplicity your style? 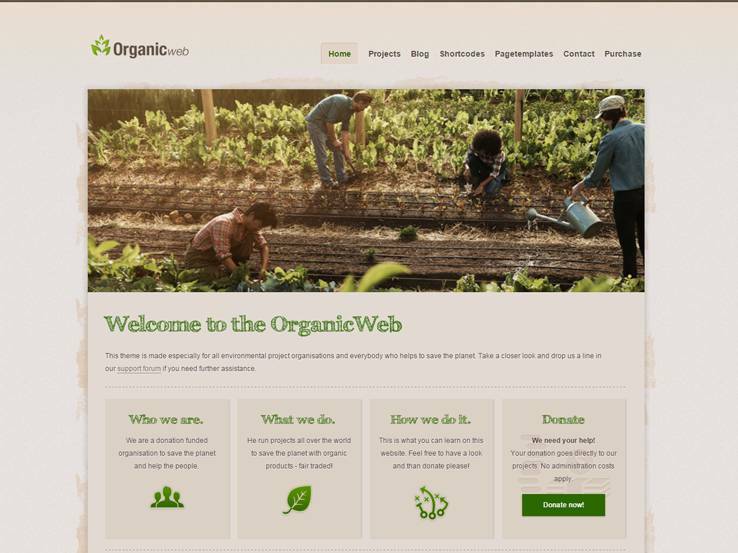 Be sure to check out Origano from AncoraThemes for an uncluttered look, perfect for sites dedicated to an organic or back-to-nature lifestyle. With several post options including audio, video, gallery, and link, your site will be the ultimate information source with enough variety to keep visitors coming back for more. A standout feature of this theme is buttons beneath each post to share on different social media sites. Your fame will spread in no time! Origano is great for a world with so many tech options, compatible across different browsers and fully adaptable to different screen types. All scrolled sections easily convert to a swipe effect for smartphones and tablets and the Revolution and Swiper sliders are very mobile friendly. If you want to expand into sales, Origano is WooCommerce ready and has a Your Cart feature, not seen in most WordPress themes, to easily manage purchases. Sustainable agriculture and green living go hand in hand and the Green Rescues theme is fantastic for making that link. It was designed with environmental groups and projects in mind. A large Revolution Slider at the top of the homepage introduces supporters to your work with style and connects them with more content through navigational buttons. Further down, you can add a widget area for tracking completed projects, funds raised, and volunteers recruited as well as a countdown clock to your next event. Visitors can also signup for your newsletter to always keep them up to date on your newest ventures. Green Rescues comes with a King Size collection of shortcodes to make altering the one click demo simple and a shortcode builder to help you develop your own code. Visual Composer makes it easy to manage your homepage options, sliders, and plugins such as a donation plugin to fundraising. Inheritance settings will keep style choices consistent throughout the site or these can be overridden to make every page different. And visitors will have no trouble finding the content they’re looking for with the Ajax search feature. 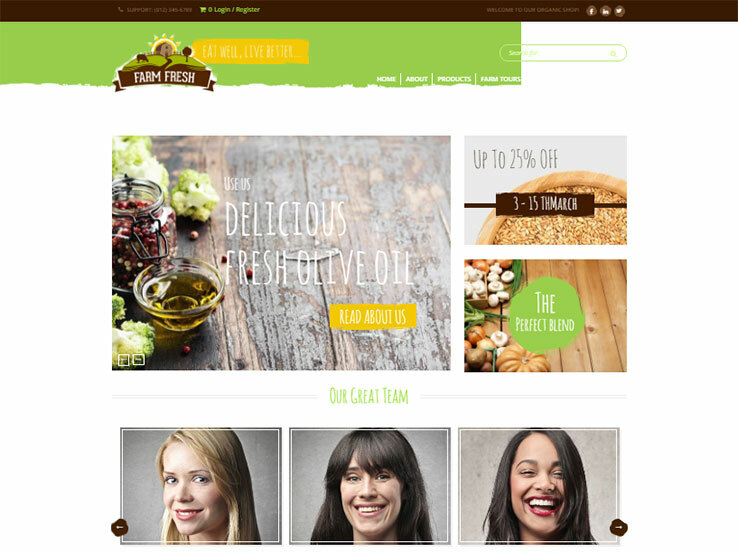 If you’d like a very natural look for your nature-based business, try Organic Web with its soothing earth tones. Site content is situated in a central box framed by one of six background options. Choose from oak, pine, paper, jute, or cotton to go beyond the default setup and give your customers a sense of your commitment to environmental ethics. Make the site more personal by setting your brand’s main color for the hovers and other navigational elements. A top slider with cool transitions is great for making a statement and showing off your work but is optional if you want a cleaner look. Your website will be as neatly organized as the rows in your field with the Farmer’s Dream Service theme. A large slider will greet visitors, drawing them in and, with optional links to further content, directing them to more information. Sections for Products, Our Team, Services, and more are positioned in a clean arrangement with lots of white space to keep visitors engaged but not overwhelmed. 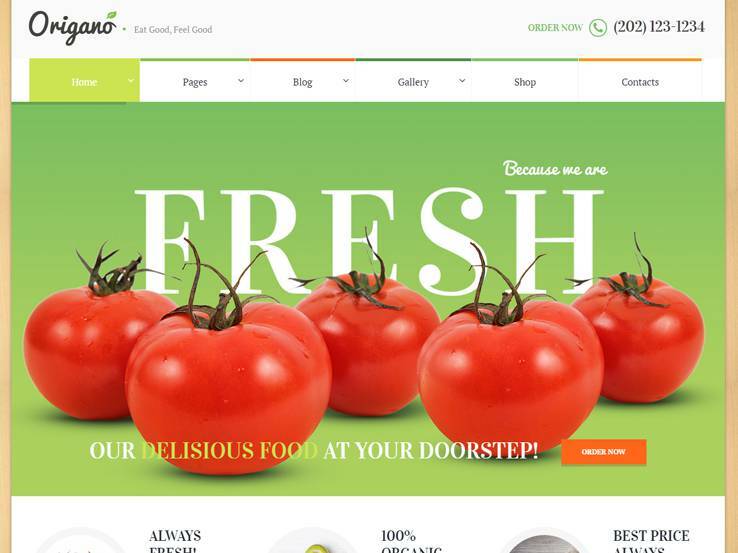 With multiple color options, your site will be as richly hued as the fruits and vegetables you sell. This theme has received numerous five star reviews from satisfied customers who noted its superb design and sharp images. Added options like Tooltips and Favicon, a Back to Top Button, and sliced PSD will keep your site looking smart and easy to navigate. 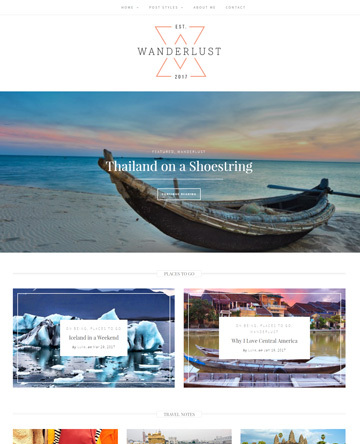 Built on a Cherry Framework with Bootstrap, you know this theme is top quality and adaptable to all your needs.